Dark Horse Deluxe captures the world's most notorious serial killer! Dexter Morgan, Miami Metro Police Department blood-spatter analyst, has a double life. When he's not helping the homicide division solve murders, he spends his time hunting and killing bad guys who slip through the justice system. In bringing the character, brilliantly portrayed by Michael C. Hall, into a sculpture, we wanted to capture both "sides" of everyone's favorite serial killer. With Dexter in his signature henley-style shirt, in front he is examining a blood-spatter slide, but danger lurks hidden behind his back. 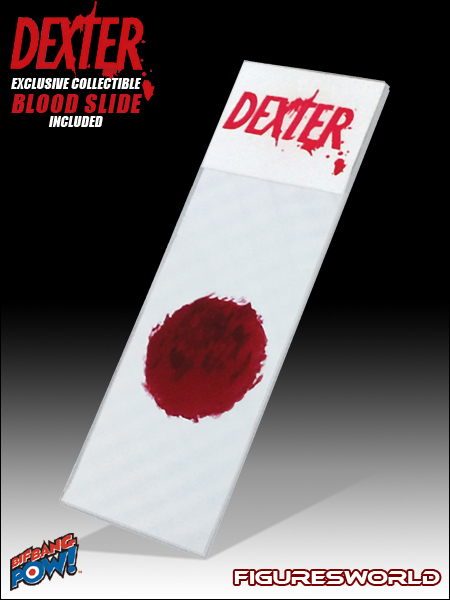 The likeness is spot on, and we couldn't be more excited to make what we feel is the ultimate Dexter collectible. This remarkable figure gives the good-guy/bad-guy a new look. Dexter won´t let anything or anyone stop his vengeance on serial killers. 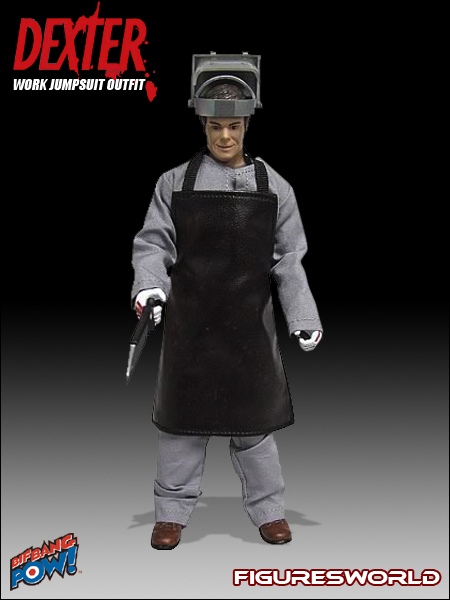 In order to stay neat and tidy during killings, Dexter is dressed in cloth scrubs and cloth apron, and comes with a handsaw and welder´s mask. A blood-splatter expert for the Miami Police Department by day, Dexter spends his nights going after serial killers and other bad people. 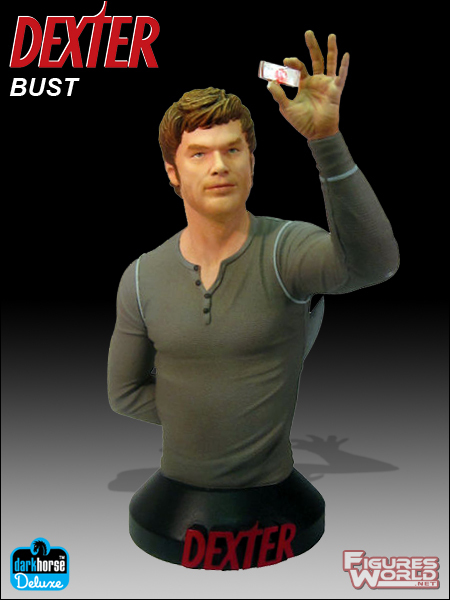 This Dexter sculpt is personally approved by actor Michael C. Hall and Showtime Networks. Comic-Con Exclusive! Bif Bang Pow! presents the first-ever 3 3/4-inch Dexter action figure based on Showtime´s hit series Dexter! This fan-demanded Dark Defender Action Figure is deftly crafted of PVC plastic and features 10 points of articulation and an awesome blood-slide accessory. 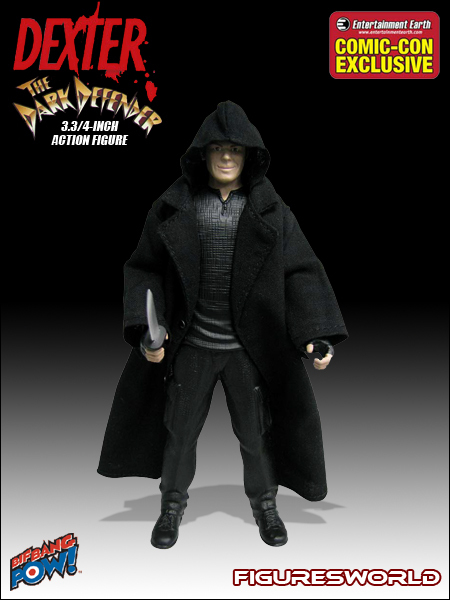 You´ll want this good guy/bad guy in your toy box or Dexter collection! Bif Bang Pow! 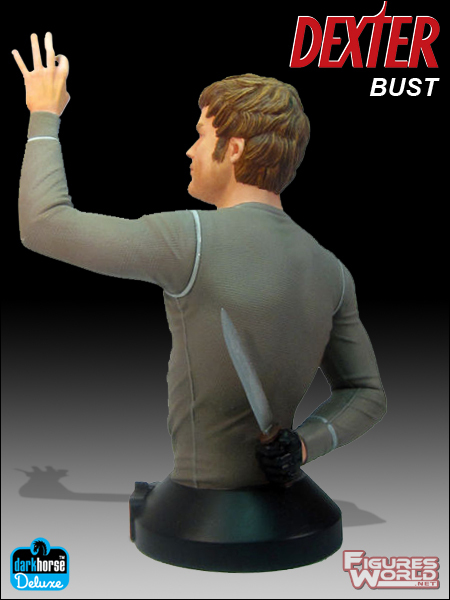 presents a truly awesome 3.3/4-inch Dexter Morgan Action Figure based on Showtime´s hit series Dexter. This fan-demanded figure is crafted of PVC plastic and features 10 points of articulation and also a Blood Slide Replica is included. 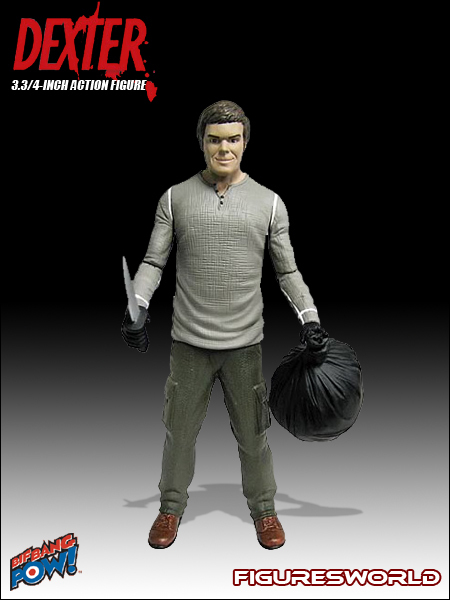 You´ll want this good guy/bad guy in your toy box or Dexter collection!